242 years after John Adams’ exhortation, people in the city of New York are still struggling with how to celebrate July 4, and its meaning. In the City of New York July 4 celebrations held after the enactment of the U.S. Constitution were anything but nonpartisan. In 1789 many landless revolutionary war veterans (especially enlisted men) in the City of New York City, who had hoped for greater participation and an improvement in their economic status as a result of the American Revolution, argued that the ruling Federalist party was too aristocratic. Some organized the Tammany Society, whose purpose was to promote the democratic ideals of the Declaration of Independence, which many of its members believed were under attack. For the Tammany Society, July 4 was a very important holiday. The Society’s constitution required that it annually hold a celebration on July 4. Its members would gather on that day in City Hall Park (then the commons) for a day of celebration, toasts to the democratic ideals of the declaration of independence, and sometimes speeches by society members about the current political situation. Attendance at Tammany Society July 4 celebrations was a kind of protest against the increasingly conservative policies of Federalist party led by Alexander Hamilton and George Washington. It was out of ceremonies like theses that the Democratic party was formed, which would elect Thomas Jefferson over John Adams in 1800 and would mostly control the city’s politics for the next 150 years. July 4 celebrations at Tammany Hall continued into the early twentieth century. On July 4, 1926, the Charles Francis Murphy flagpole was erected in Union Square Park in honor of the Tammany leader who led the organization from 1904 until his death in 1924. On July 4, 1929, the Tammany Society dedicated its new headquarters on 17th street near Union Square Park. Speakers at the dedication included Al Smith, Mayor Jimmy Walker other Democratic Party officials. Tammany’s power in New York politics declined over the next 30 years. The extent of broad-based July 4 celebrations in New York City in the 1960s (other than Macy’s fireworks) is unclear. In 1972, PR men Morty Matz and Maxy Rosen created the July 4th Nathan’s Hot Dog Eating Contest. The Hot Dog Eating contest proved a public relations success, ultimately some 50,000. It remains a the biggest public event on July 4th in New York City. For most New Yorkers the holiday has become a day for gatherings of family and friends, in which the historical meaning of this once great secular holiday is largely ignored. In 1976, as the Nathan’s Hot Dog Contest was beginning to grow, the South Street Seaport Museum promoted a parade of Tall Ships which help make New York City a center of the nation’s Bicentennial. After the Bicentennial there were a few faint efforts at celebrating July 4th officially. In the 1980s, the 92nd Street Y had an all night July 4 walking tour of Lower Manhattan. When the walking tour program was ended after 9/11, I approached the Fraunces Tavern Museum (run by the New York Sons of the Revolution) and the first year it drew about 40 people at 2 am in front of in City Hall Park. Part of the tour’s purpose was to provide an alternative way to celebrate The Fourth, but the tour was also a catalyst for the formation of the Lower Manhattan Historical Association which now celebrates Evacuation Day on November 25; the battles at Saratoga and Yorktown in October; and marks the July 4th with a parade. 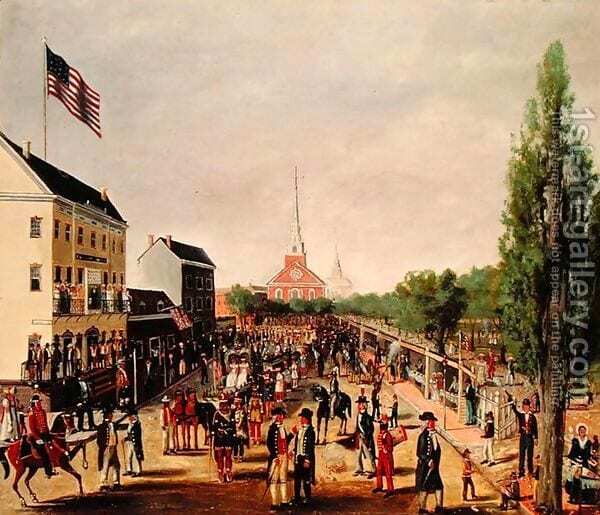 In 2014 at Fraunces Tavern Museum a meeting was held to solicit ideas for a more historically oriented celebration of July 4 in Lower Manhattan. A July 4 Festival Committee was formed which was reconstituted as the lower Manhattan historical society (LMHS). In 2015, LMHS undertook its most ambitious effort in connection with the arrival of the French ship Hermione. After 15 years of planning, French historical groups with government assistance had raised enough funds (approximately $28 million) to create an exact replica of the Marquis de Lafayette’s ship Hermione, which had brought news in 1780 to George Washington of the French support that would prove critical to the American success in the Revolution. It was proposed that the Hermione replica sail up the eastern seaboard of the United States, as a goodwill and educational gesture from France to America. The Hermione promised to be one of the great public history projects of our times, and its backers projected that the ship would dock in New York City for the July 4 weekend. While many other eastern port cities such as Baltimore and Philadelphia enthusiastically welcomed the project, the initial response in New York City was tepid. On July 1, 2015 however, Hermione docked at Pier 15 (South Street Seaport) to considerable fanfare and welcoming ceremony attended by Henry Kissinger, but not by the Mayor or the Governor. LMHS organized a parade in honor of Hermione and its crew through Lower Manhattan for July 3, 2015. At Pier 15 Manhattan Borough President Gale Brewer gave opening remarks and the parade stepped-off the seven blocks across Wall Street to Trinity Church at Broadway and down to Bowling Green (now Evacuation Day Plaza) where the French and American flags were raised, and the crowd sang both the Star Spangled Banner and the Marseillaise. The success of the 2015 parade made it easier to obtain funding for a parade in 2016. This was the 100th anniversary of the Easter Rebellion in Ireland and the parade’s theme was the linkages between American and Irish independence. The route began at the Irish Hunger Memorial in Battery Park City and followed a circuitous route through Battery Park City to Broadway and down to Bowling Green. As in 2015 Manhattan Borough President Gale Brewer gave the opening remarks. Irish and American flags were raised at Bowling Green and the Star Spangled Banner and Amhrán na bhFiann, the Irish national anthem, were sung at the closing. 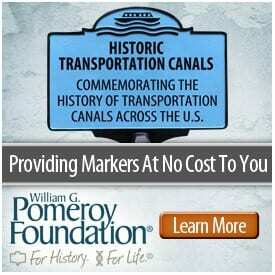 2017 marked the 200th Anniversary of the beginning of the construction of the Erie Canal (the first spade of earth on which was turned in a ceremony on July 4, 1817 at Rome New York). Given that the Canal helped make the City of New York a national economic center, organizers made the Erie Canal the theme. The high point of the parade ceremony (again introduced by Brewer) was the reading of the 1815 New York Memorial of 1815 by DeWitt Clinton re-enactor Kyle Jenks from the steps of Federal Hall. Clinton’s New York Memorial was first read in December 1815 at the City Hotel, a few blocks away. July 4 this year falls on a Wednesday. It’s projected that the parade will begin immediately following the firing of cannon by the Veteran Corps of Artillery at the Battery and will march up Broad Street to Federal Hall, then down Wall Street to the South Street Seaport. I urge you to join us on this Fourth of July by marching in the parade. 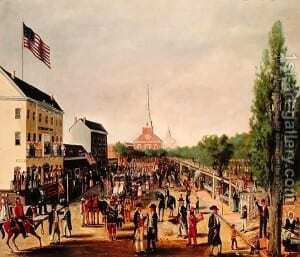 Illustration: 1869 painting of an 1812 Tammany Society Fourth of July celebration. On Independence Day, at noon at the historic Hopewell Reformed Church, in East Fishkill, NY the East Fishkill Historical Society, Thé Columbia Mid-Hudson Chapter Sons of the American Revolution and the Friends of Griffin’s Tavern will give a nod to the LMHS for the events you will be leading to honor the founding of the country. 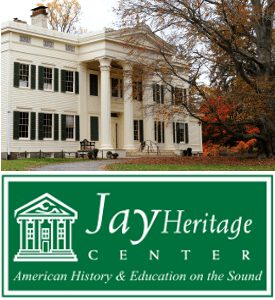 We, too will be paying homage to the Patriots how fought for our original freedom as we welcome Robb Haberman from The Selected Papers of John Jay to give a talk on the founding father and one time Fishkill resident,John Jay. Afterwards , we shall feast on a picnic lunch on the bucolic grounds of the church. The John Adams quote was about July 2, not July 4. Adams believed that July 2 would be celebrated throughout the country by succeeding generations, as that was the date that the Continental Congress declared our independence from Great Britain. July 4 was the date that the Declaration was approved and issued. Thank you James for your wonderfully written perspective on a holiday that has slipped into frivolities but with push back by those who want to keep memory this day in history truly cherished.